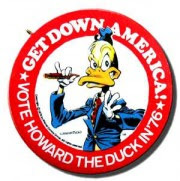 To the general public, "Howard The Duck" is, if anything, a punchline to a joke, a universally-reviled bad movie. A flop. 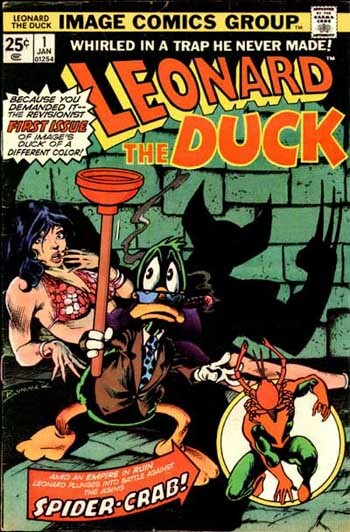 But to comics fans, Howard The Duck was an anarchic, game-changing character, and a symbol of the fight for creators' rights. Howard's creator, Steve Gerber, died this weekend. Just discovered this image and the story behind it. Yow! Links to follow, later. I hate that it took this for me to fall across your name...but it's also this that makes a person want to reconnect with friends from yesteryear. Hope all's well with you; drop me a line when you get a chance: pkupps@optonline.net. vuitton handbags is a large, flexible bag with a roomy interior which can fit most essentials such as business portfolios, make-up, card cases, gadgets and wallet. louis vuitton for sale has been carefully thought out in order to accommodate most needs such as the D-ring for attaching small zipped clutch for valuables and a large interior zip pocket Damier Graphite Canvas can carry a long wallet or slim make-up case. Damier Geant Canvas is made with natural cowhide leather trimmings.